Come face to face with one of nature’s most amazing plants this summer. Victoria Water Lilies, commonly know as ‘Blooming Victorias,’ are on display now at Como Park Zoo and Conservatory. Floating peacefully in the water gardens that surround Como’s Visitor Center, the giant platter-like plants offer guests spectacular sights and an experience unmatched anywhere in the state, as Como is the only public garden in Minnesota to grow and display the exotic lilies. Blooming now and over the next few weeks, guests are sure to be captivated by Como’s vibrant Blooming Victorias. Known as the “Queen of the Water Lilies,” Blooming Victorias are impressive plants, capable of growing nearly 6 feet in diameter and easily able to support the weight of a child. Victorias are also remarkable in that they are hermaphroditic. During the pollination process which occurs overnight, the plants emerge from under water, bloom & begin the process of changing from females to males. This process is most noticeable from the look and scent of the plant’s tennis-ball sized flower. Once emerged from the water, the petals glow white and give off a pineapple aroma to attract pollinators. Once pollinated, it will submerge back into the water and turn scarlet red. The lush colors of the flowers are best seen late July and into early August, the peak blooming season for the plant. 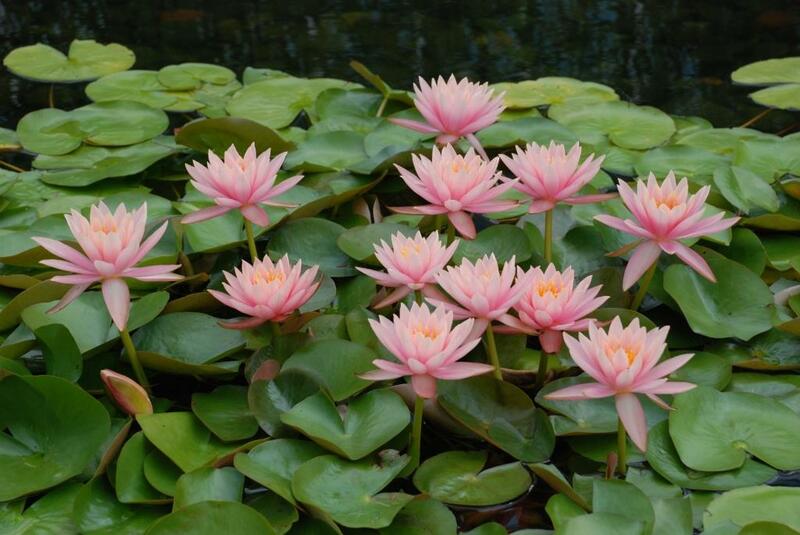 While the lilies are visibly appealing, guests are advised not to touch them as the plant’s thorns beneath the leaves are sharp enough to puncture rubber. While guests to Como will find the effortless beauty of Blooming Victorias easy to admire, growing and maintaining the persnickety plants is always an exciting challenge for Como’s Gardeners. The huge lilies that start from seeds the size of a pea are extremely sensitive to their environment. Blooming Victorias require close and constant monitoring from their early days in the greenhouse and into the summer months when they are at their peak and on display outside. Because the plant originated in the steamy temperatures of South America, many steps are taken to ensure water pools are warm enough. 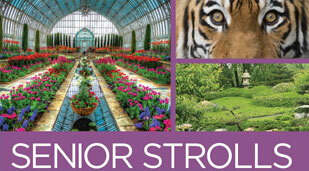 Tina Dombrowski, Como Park Zoo & Conservatory’s Horticulture Manager, reflects on the process. “Blooming Victorias can definitely be difficult to work with since they require great patience and a lot of care, but they are truly amazing and unforgettable plants. I think everyone on Como’s horticulture staff knows their hard work will be rewarded as these flowers bloom”. Blooming Victorias have a remarkable history and presence at Como. The plant, named after Britain’s Queen Victoria, was first introduced to Como Park in the 1880s. Grown in Lily Pond under a stone bridge, the warm water required to successfully grow the water lilies came from the boiler at the park superintendent’s house nearby. Charming visitors to the area, the 1920s saw an expansion of the plant into Como Park, when the lilies dotted the water landscape. Old black and white photographs capture people’s fascination with the plants as 1920s visitors strolled and posed alongside the Blooming Victorias. As Como Park Conservatory and other indoor gardening at Como gained popularity, the growing of the outdoor water plants dwindled and soon stopped. Blooming Victorias didn’t return to Como until 2005 and have now become the summer tradition they once were decades before.